Following its successful first year of operation, RCES is extending its portfolio of buildings to cover a radius of 10 miles from the centre of Reading. 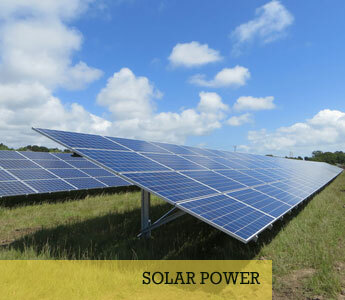 As a consequence, the Society is seeking owners and users of suitable buildings to have renewable energy facilities (such as solar and possibly other technologies) installed on their buildings at no cost. roofs that are largely south-east to south-west facing and unshaded, of a construction that will enable safe installation of these panels. The buildings that are most likely to fit into these criteria include schools and colleges, offices, museums, medical centres, care homes and leisure centres, as well as commercial buildings such as factories, technology centres and retail stores. 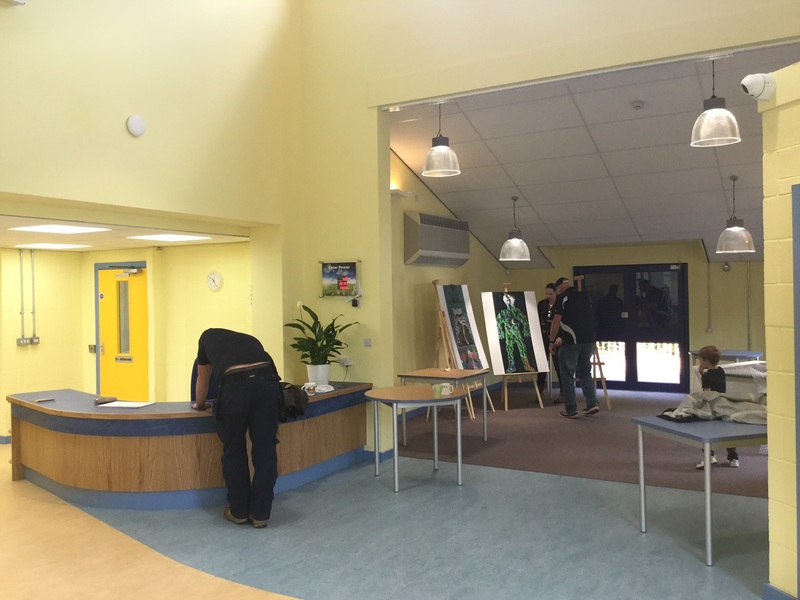 The Amersham Road community centre has recently been refurbished, extended and reopened as The Weller Centre. They now have an electronic display showing real time solar power generation and total generation. The centre will be a great asset in the local community and is being managed by Catalyst Housing association who are very grateful to both RCES and Energy4All for the benefit that they now receive from the solar installation. Just Around the Corner (JAC) Ltd is an organisation working with disadvantaged young people at their activity centre and stables in Wokingham. They have just been awarded a grant of nearly £1000 from Reading Community Energy Society to buy energy efficient heaters for their classroom and pottery room. JAC run therapeutic and Educational sessions for young people; they are referred as they have difficulties engaging in the school or social environment for a variety of reasons. 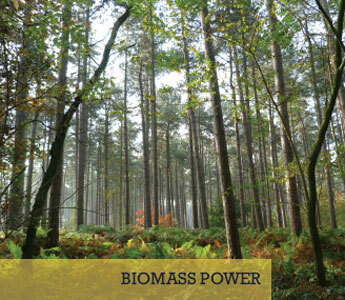 Reading Community Energy Society was created by local volunteers, known as the Berkshire Energy Pioneers, the local council and Energy4All who have over 15 years’ experience in the community green energy sector. 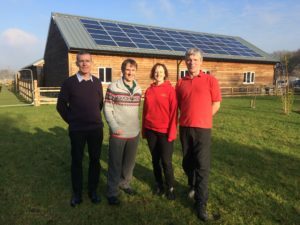 RCES are helping local communities to deliver renewable energy projects and have now just completed the first phase of solar installations across the town. Tony Hoskins, Chair of RCES explains that: “The Society ran a successful share offer in July 2016 raising funds of over £200,000 from local people and other individuals supportive of renewable energy to enable the installation of the solar energy systems. Your friendly Reading board members – working hard on the co-ops behalf at a board meeting held on Wednesday 11th January. They were planning the AGM and starting to think about what they want to achieve in the future and are on the lookout for more future renewable energy and energy saving projects in Reading. From Left – Right: Cllr Rachel Eden, John Malone, Dan Fernbank, Clare Sharp, Tony Cowling, Rachael Hunter, Tony Hoskins, Cllr Liz Terry. 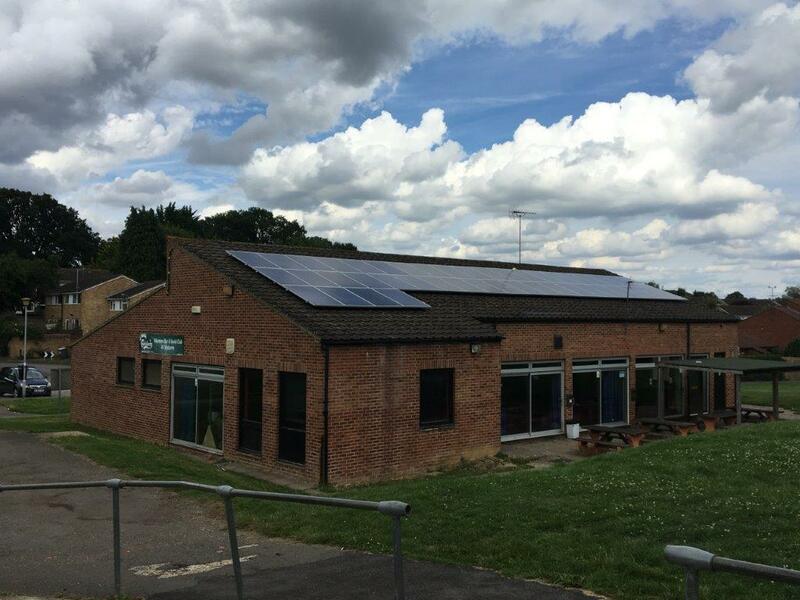 Over the past three months solar panels have been installed on 10 community buildings including places of worship, community and council buildings and charity headquarters in and around Reading. 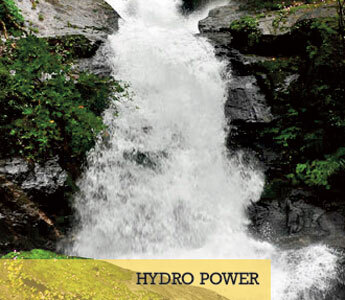 That’s a total of 176kWp renewable electricity generated from solar panels! 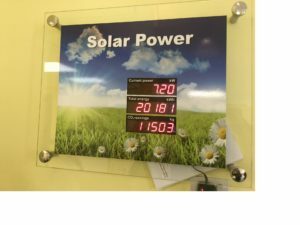 Tony Hoskins Chair, of Reading Community Energy Society explains “The main objectives of the project is to help reduce energy bills of the community buildings involved, improve the sustainability of our community, reduce climate change emissions and improve energy security. We are looking forward to working with the building owners and users and local community to ensure the project delivers these benefits “. Berkshire Energy Pioneers are continuing the successful work of Reading Energy Pioneers who first formed in 2009 as a neighbourhood group. They reformed in 2015 and many members now sit on the Reading Energy board. 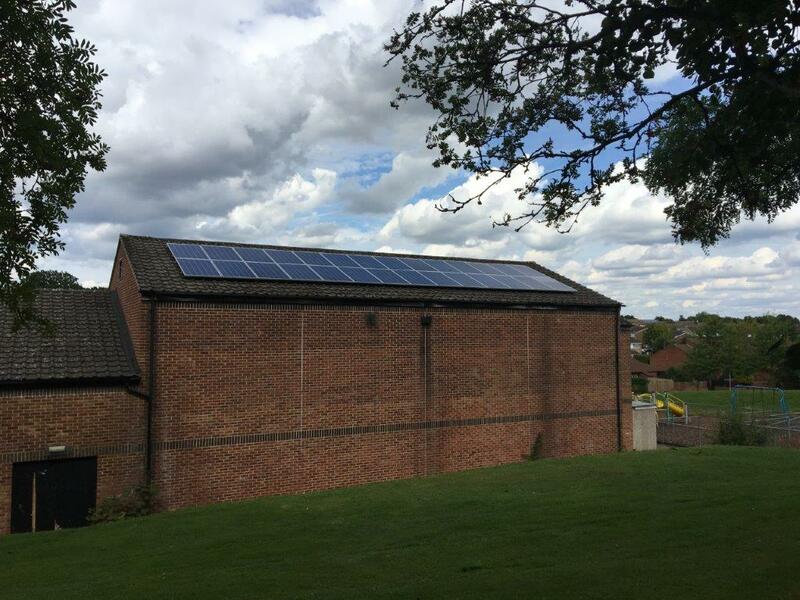 We are delighted to announce that our second solar installation has been completed. The installation is hosted by the Caversham Park Village Association on two buildings at the Milestone Centre. RCES share offer is now closed as it is oversubscribed! Our first PV installation is now complete – please see image below, with more to installations follow. Our first Solar Installation at the Just Around the Corner head quarters. 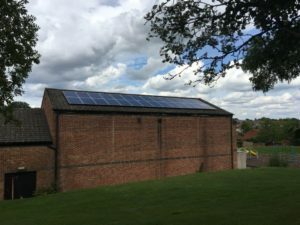 Reading Community Energy Society (The Society) has launched an exciting new project to install solar photovoltaic (PV) panels on the roofs of community buildings in and around Reading funded by a Community Share Offer. The first of its kind in Reading. The Society plans to deliver just over 350kW of solar PV over 16 community buildings including schools, places of worship and community centres. 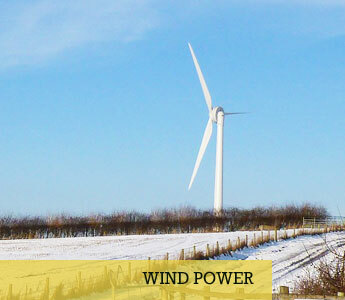 The main aim of the project is to help reduce energy bills of the community buildings involved, improve the sustainability of our community, reduce climate change emissions and improve energy security. Tony Cowling, one of the Directors and founders of the scheme points out that it has several benefits. 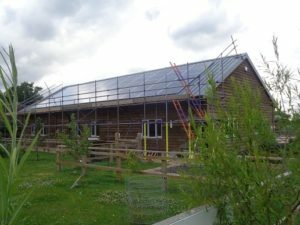 Benefitting the community is at the forefront of the project, the host buildings (all community buildings) will save money on their energy bills and eventually will inherit the panels. The scheme will also run a local community fund to support energy efficiency projects and tackle fuel poverty. 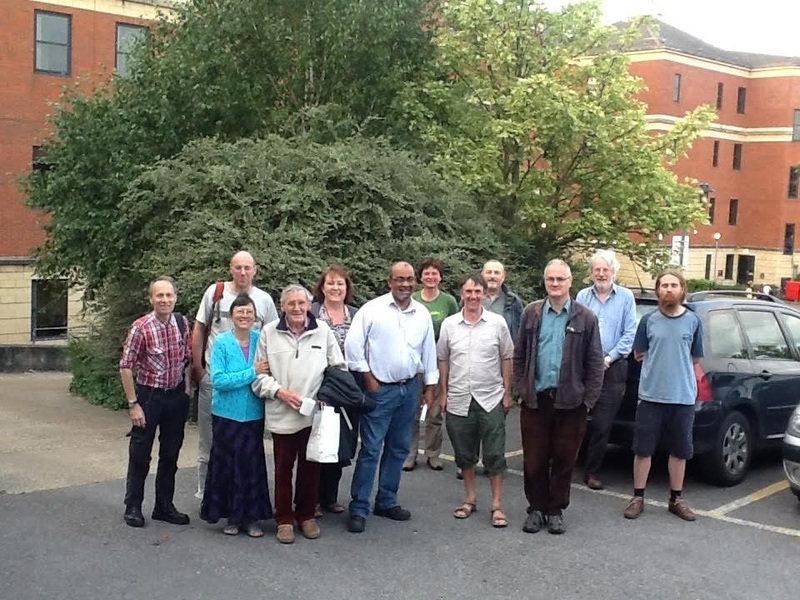 The members of Reading Community Energy Society will also receive annual share interest. Everyone living in Reading and in the rest of the UK will have the opportunity to join in the scheme, the minimum investment is £200. The Society will need to raise £450,000 to complete the projects. The closing date for the scheme is 15th July, therefore time is of the essence if you wish to be involved. This is an opportunity for local people to invest in their community and to play a part in a greener, more sustainable environment whilst raising awareness more generally about the importance of being energy efficient. Reading Community Energy Society is preparing its Share Offer. Register your interest now to be sent a prospectus as soon as it is published.